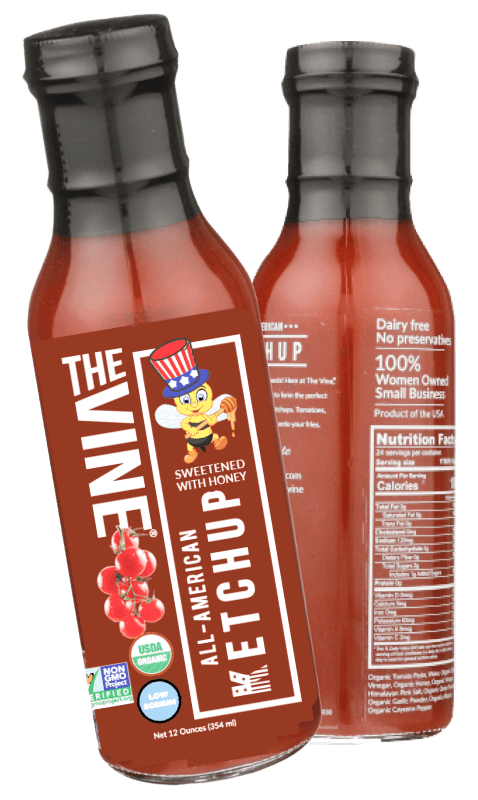 Sweetened with honey, our ketchup is low sodium, low sugar, organic, non-gmo, dairy free, as well as corn syrup and table sugar free. It is a true condiment in that it enhances the flavors in your food, not overwhelms it. Try some today. Ingredients: Organic Tomato Paste, Water, Organic Apple Cider Vinegar, Organic Honey, Himalayan Pink Salt, Organic Vinegar, Organic Dry Onion, Organic Dry Garlic, Organic Allspice, Organic Cayenne Pepper.